﻿ How to Build Powerful Synergy Between Your Content and Email Marketing » Red Mango Marketing! We all agree that email marketing is one of the most effective channels for driving leads and conversions, right? In fact, many leading marketing firms actually go so far as recognizing email marketing as having the best ROI (Return On Investment) of any online marketing strategy. But, it’s worth also taking a moment to note that email marketing relies on quality content. Great content is what delivers calls-to-action that motivate readers and opens up the sales funnel to drive profits. Content is what builds trust and authority and convinces people to sign up to your mailing list in the first place. It’s the foundation of any good email marketing campaign. So getting your content and email marketing to work together in harmony means faster growth and better engagement. Here are some great ways to do exactly that. There are a lot of online tools and apps that can provide interesting and useful data that has the potential to radically transform the look and feel of any type of content. If you feel that what you’re putting out is a bit drab and dull then a visual makeover might be just the ticker. If you feel that what you’re putting out is a bit drab and dull then a visual makeover might be just the ticket. Try adding some relevant, eye-opening data to your next email to engage your stat-savvy readers. Is there a particular expert in your industry that you’ve been trying to connect with? How about a specific journalist who could potentially give you game-changing coverage? Whoever you’re going after, there is something you can do that will almost compel them to talk about you — talk about them. In particular, try to find something noteworthy (read: newsworthy) that they have done — it could be anything that will show off their particular talents and work. For example, I used to write programming and Web development books and often condensed the information in these books into free online guides for small business. Because I was writing for some of the biggest publishers in the world (i.e. I had a good relationship with them) it was easy to get coverage for the online writing I was doing (because it also promoted the books of mine they were selling). Having a strong relationship with powerful influencers is unbelievably valuable, but you don’t get it for free. It’s something you have to build on by working with/for them or by being a useful asset for them in some other way. It’s not enough to reach out to influencers and ask for a backlink or even ask them to look at something you’ve done. Everyone who is worth reaching out to is constantly bombarded with spammy outreach emails that ask for much, but offer nothing in return. You have to do something that is interesting and engaging for them before reaching out. Create a fantastic piece of content that talks about targeted influencers in a positive light and use email marketing to generate a bit of buzz for them. Web traffic and buzz are, in essence, the currency of the Web. Give a bit, and you might get something back in return. But even if you don’t benefit immediately it’s worth being persistent because at least you will get on their radar and be able to start building a stronger relationship that will bear fruit down the line. We all know how much effort it takes to create a great piece of content. There’s ideation, planning, research, years of writing practice, layout, marketing and promotions… the list goes on. One way to end up with unbeatable content is to create it bit by bit, over time. I never treat a piece of content as ‘complete’. There is always room for improvement with updates, additional information, and various other things that can make it more useful and engaging. 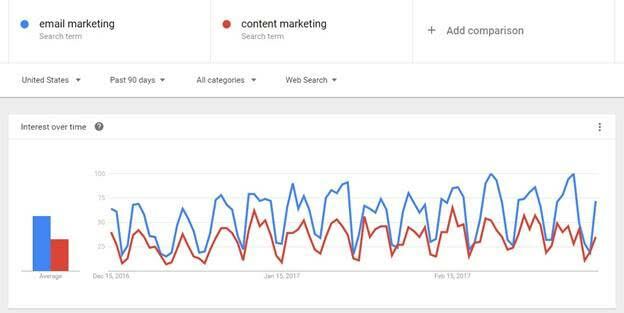 At the same time, once the content has been published it is important to monitor not only the behavior and response of your audience but also how Google ranks it. Often this can help direct your efforts at improving the content and capturing better rankings for better keywords. It is far better to invest time and effort into fewer high-ranking pages than it is to constantly churn out one-off articles. A good example comes from one of my guides on how to create a website. Initially, it started off as a quick overview of some of the leading website builders. After a while, the technology moved on and the content became stale. Either I could let it die, or invest time and effort keeping it up-to-date. I chose to update it, and in doing so ended up adding a bit more information comparing website builders to hosted websites. That ended up expanding into a discussion on how to choose a domain. Again, that wasn’t the whole story because not everyone who needs a website understands how it works, or even the basic terminology. So, that had to be added too. There’s always something new and important readers are bringing to my attention, forcing the guide to keep growing. Improving content to build up an incredible resource gives you multiple opportunities to market and re-market it to your email lists. Every time something new, interesting, important, engaging and of use to your followers is added you can spread the word via email. Using this technique not only allows you to create better content that captures rankings in Google considerably faster than fresh content would, it also means you get much higher read rates on each individual piece of content. In other words, you’re creating better content and more people are consuming it. Those are my five top tips for building a powerful synergy between your content and email marketing that should help grow your list, improve engagement and, ultimately, end up increasing revenue and profits for your site/business. What would change about the above five strategies? What other content/email marketing tips and tricks do you use that work for you? Share your thoughts and advice in the comments. About the author: David Mercer contributes to SME Pals, a blog dedicated to helping entrepreneurs and small business owners thrive online by turning creative business ideas into profitable startups. He is a tech entrepreneur and published author with programming and Web development books translated into over 13 languages worldwide. 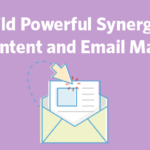 The post How to Build Powerful Synergy Between Your Content and Email Marketing appeared first on Constant Contact Blogs. This entry was posted on Tuesday, May 9th, 2017 at 9:45 am	and is filed under content, Content Marketing, Email Marketing, News & Updates, Online Marketing. You can follow any responses to this entry through the RSS 2.0 feed. Both comments and pings are currently closed.